Wow! This week has certainly been busy and from the grins on faces it has also been a very enjoyable one! 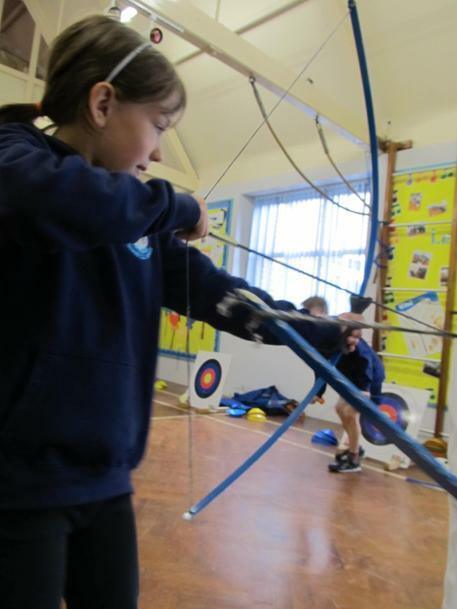 The children have experienced and learnt many things from Latin music, first aid, martial arts, cupcake decorating, archery, circus skills, street dance and pilates to name just a few of the wonderful ‘Try Something new Week’ activities. They have also been visited by the lovely Paddy from The Dog’s Trust and found out about all the animals at Wildwood. We hope the children all enjoyed it and it opened their eyes and minds to lots of new skills. A huge thank you to Mr Hadlow and Mr Wren for organising the week. How did your child enjoy ‘Try Something New Week’? Should we do it again? We would appreciate any written comments about the week that we can keep and use as quotes on our website. Please email: office@whitstable-endowed.kent.sch.uk.